This is Ant's acceptance speech for the Grand Design Award which he delivered at the Progressive Music Awards Ceremony in London on 1st September 2016. It contains some small sections which Ant chose to leave out on the evening. I was last on a stage 46 years ago with some Bliblical beat combo. I don't actually know what happened to them - anybody got any idea? Timing is everything...and mine was definitely careless, if not catastrophic! I'd unwittingly walked into a Palace Revolution as Prog dived into a Priest Hole, disowned by Record Companies running scared in the wake of New Wave and persecuted by a press that made viciousness an art form. Charting a course through these choppy waters was going to be a precarious business! 'Wise After the Event' was all songs : instrumentals were right out! 'Sides', originally to be called 'Balls' as I got fed up with people saying this music hasn't got enough balls in it (?! ), was mainly pop songs with all the 7/8 bars expunged as people couldn't dance to it...?!!! '1984', keep the rhythm going and slip in some surreptitious classical bits and they might not notice, before finally docking at the Private Parts and Pieces Series : simple acoustic pieces that hopefully made up in their vibe and spirit what they lacked in gleaming studio quality. Surely this was the end of the line ? 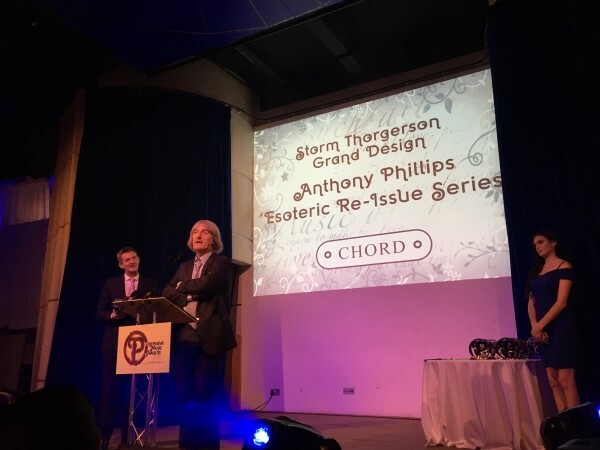 If you'd told me then that I would one day be standing on a stage accepting an award for this crazy mixed-up body of work, I would have told you were stark, raving bonkers and definitely dreaming! Well somehow here we are - yet of course the Award is for the Re-issues and I have been blest to have a crack team of adepts at all stages of the process. Jonathan Dann, my sonic sleuth, for tracking down contemporary material for the bonus CDs and for the illuminating bibliographical tomes. Phil Lloyd-Smee for the lovely design work that did full justice to Pete Cross's brilliant covers - and more! Mark and Vicky Powell who masterminded the the whole series and kept the faith that we could win this despite this particular doubting Thomas ! All the lovely people at Cherry Red, especially Lauren Archer, Matt Ingham and of course the supremo himself Ian McNay for the encouragement and prosletyzation. Given this is all such early work, I must thank my parents for suffering the strange sounds, hours and people with such stoicism ! Mike Rutherford who cajoled me back out of the wilderness and without whom no solo album would probably ever have appeared. And thank you Tony Banks for the way over-generous name check last year. So thank you Prog and all who voted, this is a real honour amidst such exalted company and I'm going to grab this tightly before I suddenly DO wake up to be told this hasn't got enough balls in it, it's too quiet for the car and you can't call that piece 'Henry' because Rick Wakeman has done Six Wives. To which I replied, "I did it for 'A' level, it is genuinely based on that and I don't care how many wives Rick has got...! Here's to less balls, lots of lovely lyrical quiet sections, light & shade, emotion, grandeur, magnificence - the full panoply of Prog !